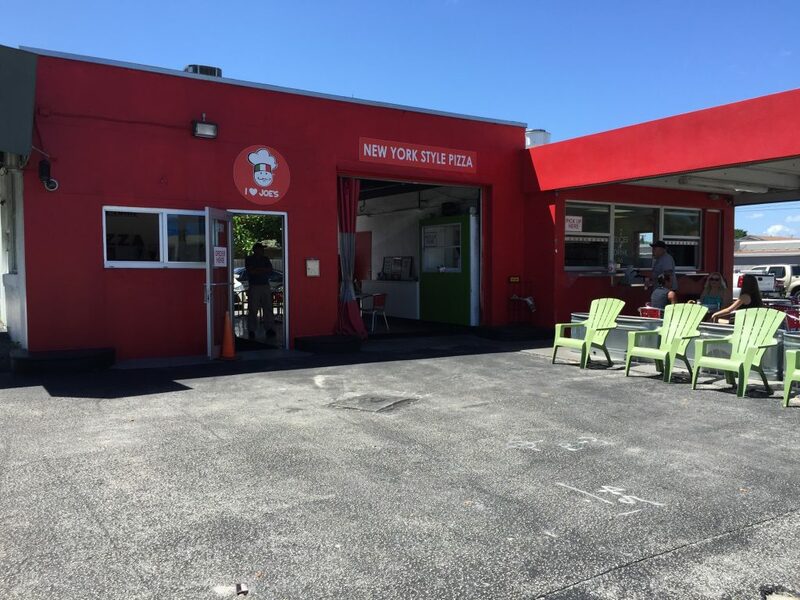 You ever drive by what appears to be a vacant gas station one day, and a few months later you drive by it again, and it is an Italian Ice place, and then you drive by it again except this time it is a delicious pizzeria? Well it happens to me all the time too! A while back I read about Joe's on a friends food review site named Jeff Eats. I was kind of surprised that he beat me to this pizza joint. I had never noticed it since the last time I had been down around this area, just north of Young Circle was about a year prior to his article, so I actually forgot about this pizza place. That was until Nicole Danna asked me to discuss the Best Pizza in Broward County for the New Times. 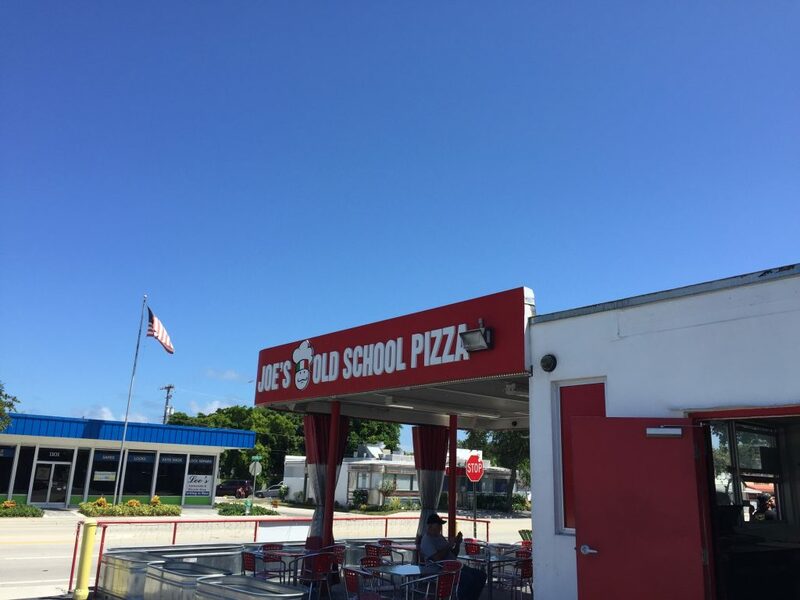 We had Joe's Old School Pizza on our list of must try places, and even ended up ranking it 3rd best pizza in Broward County. 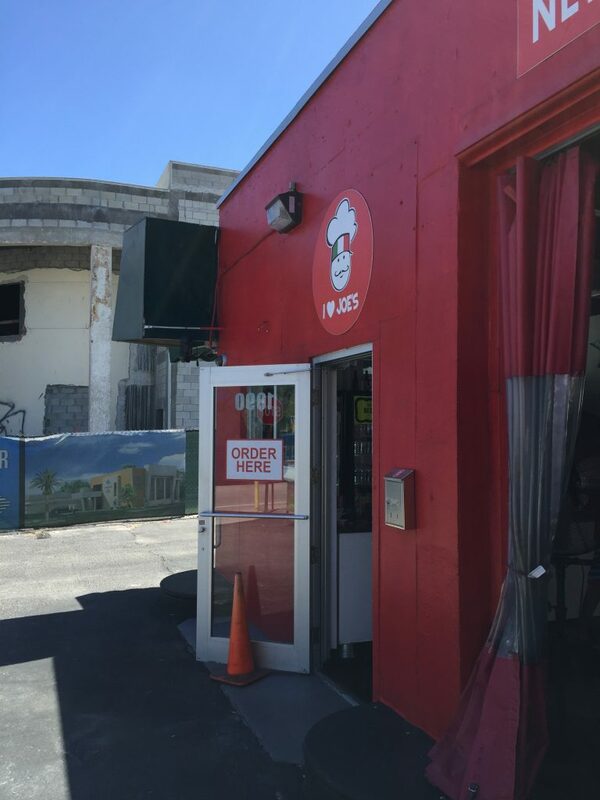 Before I get to the pizza, let's take in a little history on how Joe's Old School Pizza ended up in this eclectic location in Hollywood. Joe Caristo is the name of the owner, and also the Joe in Joe's Old School Pizza. 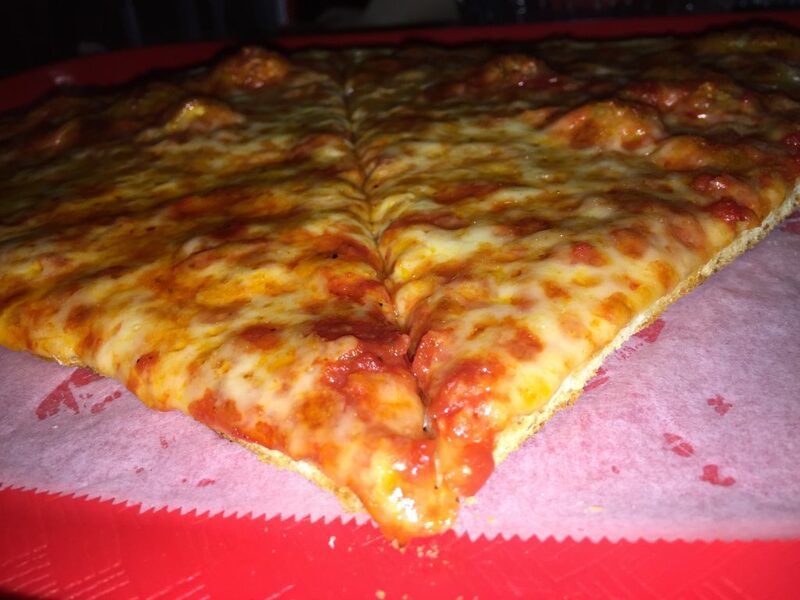 Joe grew up in the Bay Ridge section of Brooklyn, which is known for a tremendous amount of quality pizza places. He opened this pizzeria over two years ago, Actually 2 years and 4 months as of the date of this review. 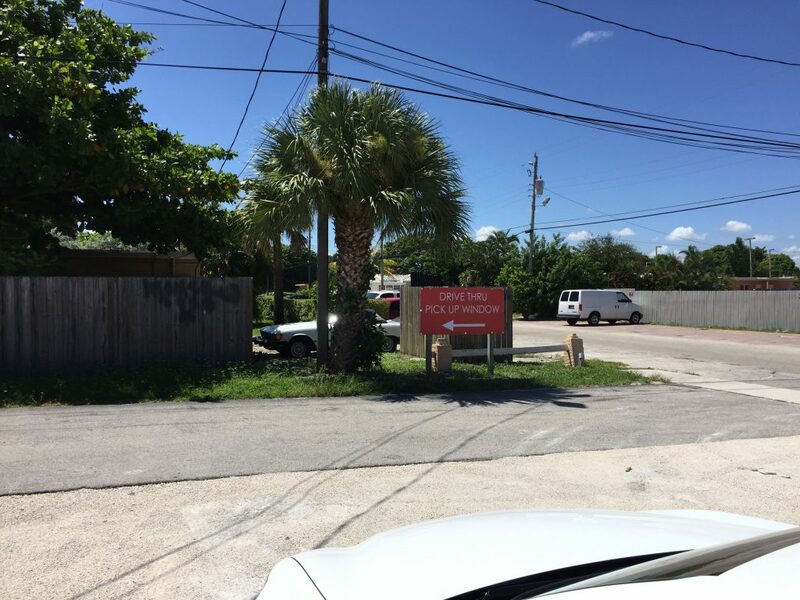 For those of you who live in Coral Gables (1232 S. Dixie Highway) and Cooper City (2711 Hiatus Road) you might recognize Joe's, as this is one of the three locations. This review will only focus on the Hollywood location but we will be visiting the other locales shortly to do separate reviews. 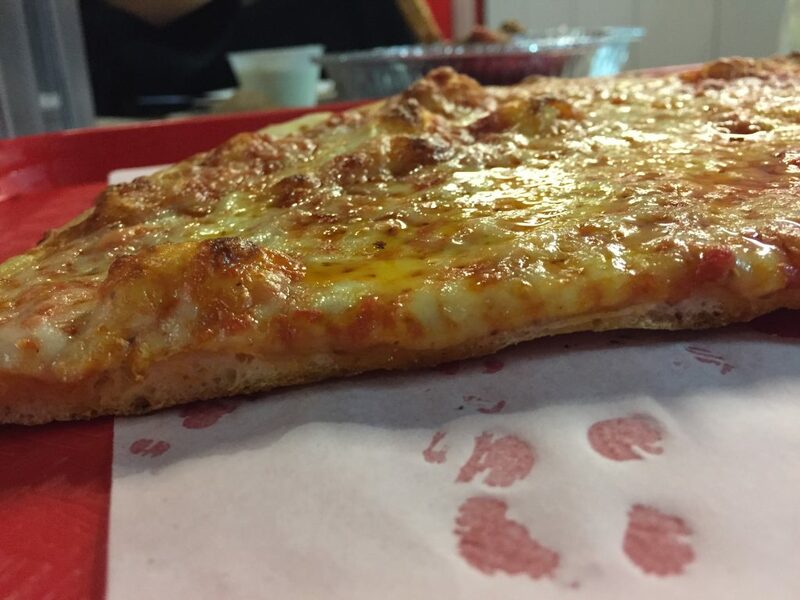 When my slices arrived at the table, they looked extremely tasty. 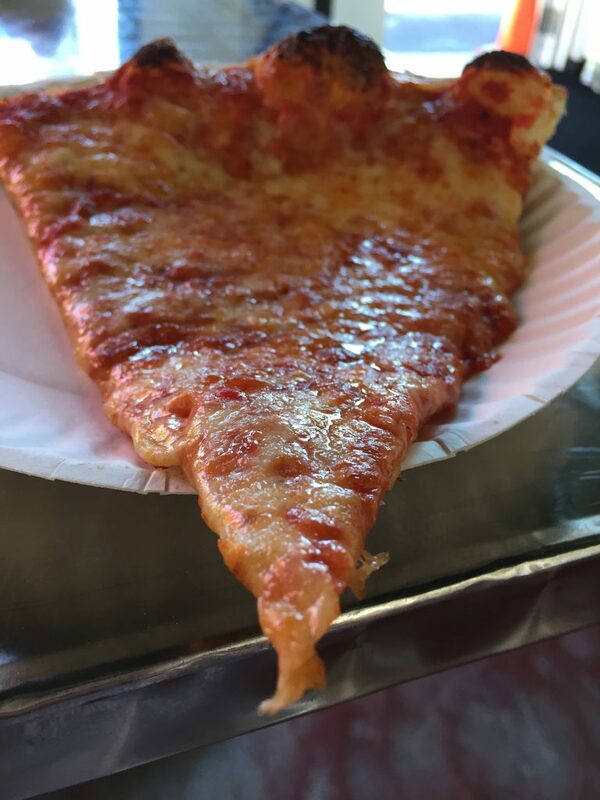 They had a perfect amount of cheese and upon lifting up the slice, I was amazed to see how crisp it was. Look at the photo, it barely tilted down. Many other reviews of Joe's said the pizza was soggy, but this was obviously not the case during my two visits there. My first bite revealed a sweet tasting sauce, and I later become aware that the cheese comes from Grande. The crust on both of my visits was consistent and was nice and crispy with a fantastic taste. Joe's isn't like your average pizza place. You walk into the garage bay and order from a counter on the left. Then you wait and your slices appear at a window to your right. Definitely an experience I haven't had down in South Florida. 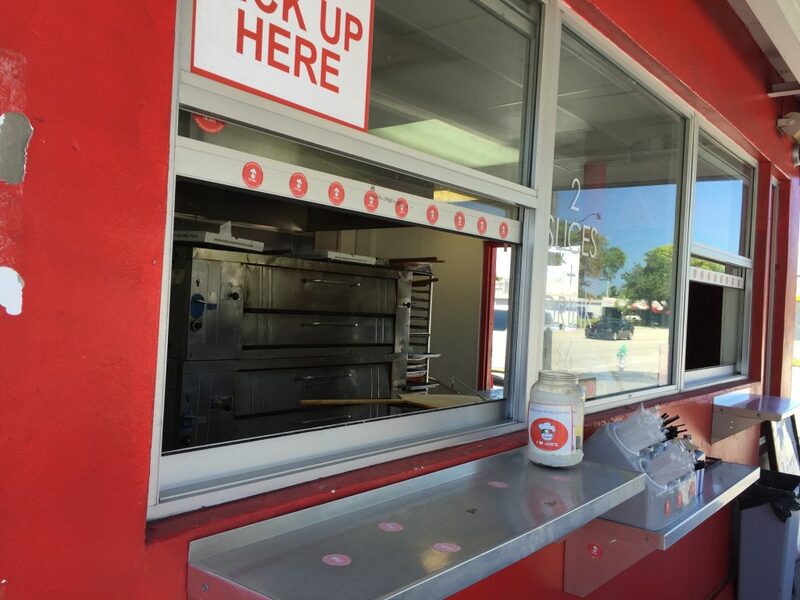 Another interesting thing Joe's Old School pizza has at their Hollywood location is a drive-through window. 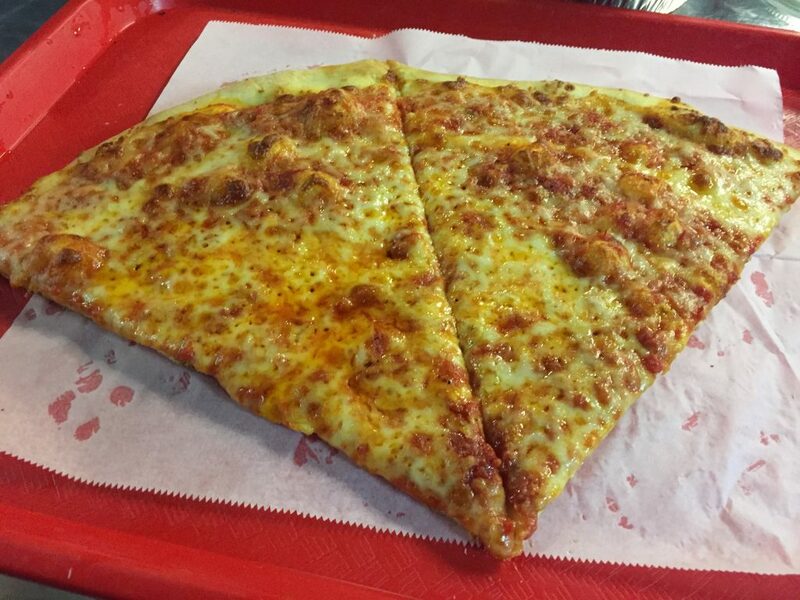 I must say, Joe's Old School Pizza in Hollywood, FL serves some of the best pizza slices in South Florida. If you are in the area, you won't be disappointed. Even if you are out of the area, it is a different way to spend a breezy afternoon. Search for days with good weather since Joe's does get hot during the summer, and the outside seating and inside the garage might get to you. 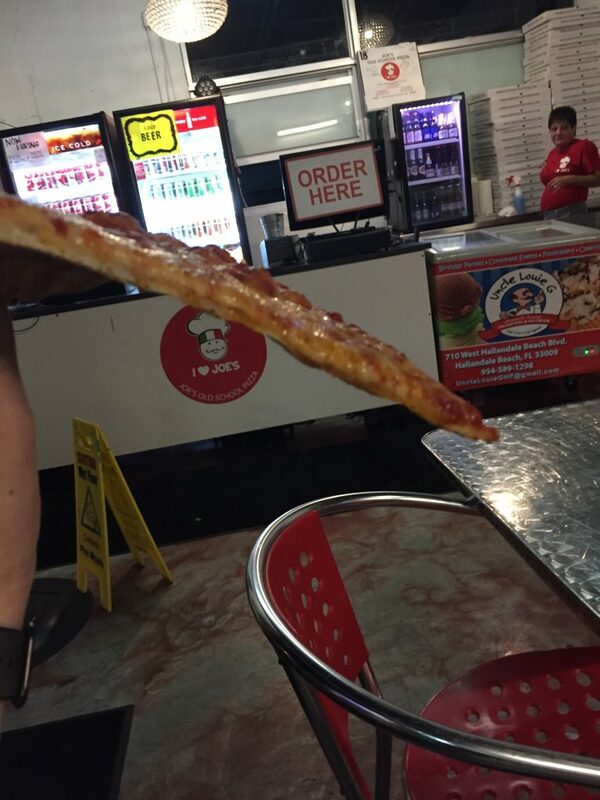 Joe's Old School Pizza in Hollywood, FL gets 7 out of 8 slices.